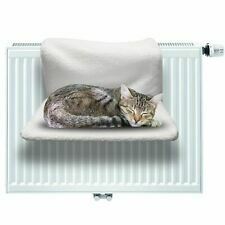 Luxury cat radiator bed. 1 x Cat Radiator Bed. 100% polyester. Removable washable cover. 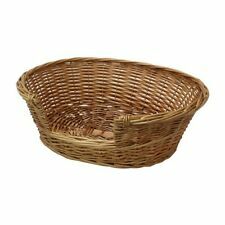 Height: 35cm Width: 48cm Depth: 35cm Weight: 960g. 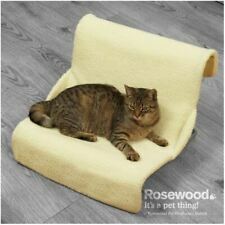 Perfect for cats that love to snuggle up in the warmth especially during the cold winter months when the radiators are on. 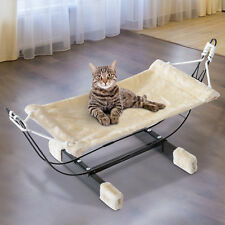 Cats will love this 2 in 1 radiator bed which works just as well on the floor. lamb fur/nylon look polyester cover polyester fleece filling . plush cover stable metal frame with adjustable holder (10–12 cm) for all conventional radiators . plush cover thin foam filling non-slip bottom . Provide your cat with an outdoor view and a warm place to rest with the Window Mounted Cat Sunshine Bed! 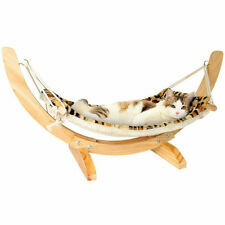 Say goodbye to bulky cat condos and other beds and say hello to the Sunny Seat. The Sunny Seat provides your cat a front row view of nature, weather, people and more without taking up valuable floor space. The Lords & Labradors Cat Washroom is a multi-functional pet house that can be used for cats or small breed dogs. Use with a litter tray to turn the Washroom into an attractive cat loo. 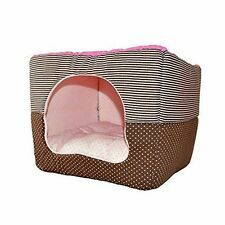 The Lords & Labradors Cat Washroom is an attractive multi-functional pet house. 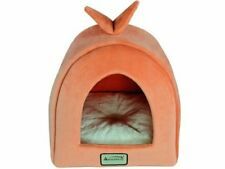 THE CUTEST LITTLE BEDS FOR YOUR LITTLE PETS.THEY MAY BE SMALL BUT THEY ARE STRONG. YOUR PETS, AND YOU, WILL LOVE THEM. SMALL ALTERATIONS CAN BE MADE TO SIZES. FOR QUOTE. MEGA VALUE 4XColours Soft Fleece DogCat Blankets! The one piece construction provides for a smooth interior which is easily cleaned with a simple spray of the garden hose. Main Door Awning with Flap: The main door awning improves rain/snow protection and includes a gasket to eliminate any water weepage around the edges. Then we will ask you to send the item(s) back to us, so that we can check. It’s a bed, it’s a carrier, it’s a crate! The Keter Pet Bunkbed is all three in one. Functional, practical yet stylish, the bunk bed is a modular pet furniture piece with the flexibility to work with your family’s needs. 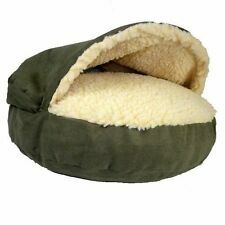 Pet Camping Outdoor Indoor Cozy Green Tent. The Cat Camp cat tent at a glance The nylon tent can be used inside as well as outside where it will protect your cat from the sun and rain. Practical nylon tent for the garden, patio or balcony. Features of the The Refined Feline Lotus Tower Cat Tree in Espresso, 69" H. Includes three carpeted platforms, a fabric covered cushion platform & carpeted cubby. Includes carpeted platforms, a fabric covered cushion platform & carpeted cubby. BEST Quality Cat Perch! Made in USA w/1 Year Warranty! 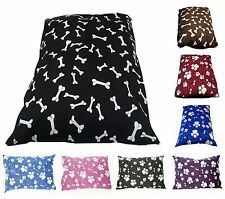 Dog Soft Warm Sleeping Mat Cushion,for Small, Medium Pet, Cat, S, M, L, XL, 2XL. Cat Window. Every cat enjoys looking out the window. Household Essentials. Curtain Wire. Pet Care & Accessories. Camping & Festival. Health & Beauty. Machine washable cover. 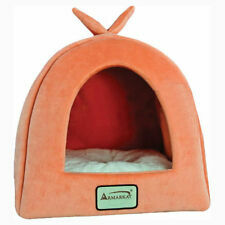 Made with quality materials we have created a comfortable rest place for your pet. All perfect weight free to move round and extra padded for extra comfort. But, don’t let it fool you! This pet bed holds a few surprises. If you have only one pet and just want to enjoy the sophisticated style and design, flip the nest over to reveal more of the beautiful knit design that perfectly matches any décor. 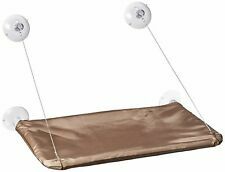 Cat Princess Radiator Bed, Plush. Cat Radiator bed. polyester fleece filling. ALL PRODUCTS ARE IN ENGLISH AND ANY ELECTRICAL PRODUCTS ARE FITTED WITH A UK 3 PIN PLUG. WEIGHT RESTRICTIONS ALSO APPLY TO YOUR COUNTRY. Is your cat always searching for a view outside or a warm place in the sun?. The search is over with this Window Cat Bed.Say goodbye to bulky cat condos and other beds your cat won't use and say hello to the perfect solution. That’s why we createdWhiteTail Naturals Cat Cave Beds that lets them crawl inside a warm and breathable hideaway space made to satisfy their protective nature. 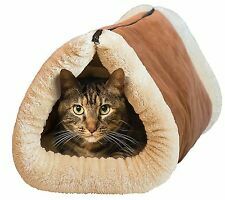 Premium Cat Cave Bed (Large). Discrete, Stylish Color – Small and compact enough to sit on your desk, on the counter, or anywhere else you want to see your cat sleep, they match every setting. 1 x Comfort bed. Comfort Zone is perfect for stimulating and pampering cats of all ages. 12v Vinyl heated Cat dog bed pet whelping box, Puppy electric HEAT PAD mat.